Purchasing a new security system can be confusing. That’s because there are so many systems on the market that it is hard to decide which one you need. The first step is to determine what you want to accomplish in your security plan. Do you want to protect just the inside of your home or do you want to include the outside? This will help you determine how large of a security system you need. Choose a complete security system that includes everything you need to install the system. You have to figure out what type of security camera you want. There are a variety of security cameras available. You can choose wired or wireless camera systems. The wireless camera systems are the easiest to install. Determine where you will place your cameras in your home. 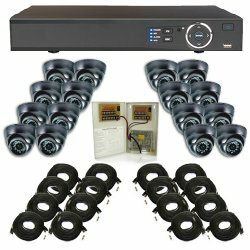 You will want to install enough cameras to cover the inside of your home. If you have decided to add cameras to the outdoor areas of your home, then you will need a different type of camera. Outdoor cameras are built to withstand extreme weather conditions whether it is rain, wind or hail. Once you have all of your cameras mounted, you will need to test your video quality. The quality of the camera you buy will also affect the images. 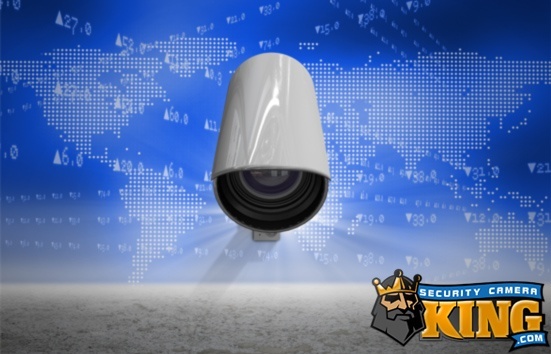 The higher the costs of the security system, the clearer the images. Consider buying other security equipment to work with your cameras such as window and door sensors. These sensors will trip an alarm if someone tries to enter your home through these areas. You can also buy security devices that will turn on and off your lights, television and other electronics. This is helpful to use when you are away from home for an extended amount of time. Security systems work together to keep your home safe from intruders. Security cameras are available with audible sounds that can be recorded. Determine if you need that kind of camera. If not, then test your security equipment and make sure everything works properly. The door and window sensors are easy to install. The next decision you need to make is whether or not you want a professional company to monitor your system. You probably will not be able to watch the video feed from your home while you are at work. 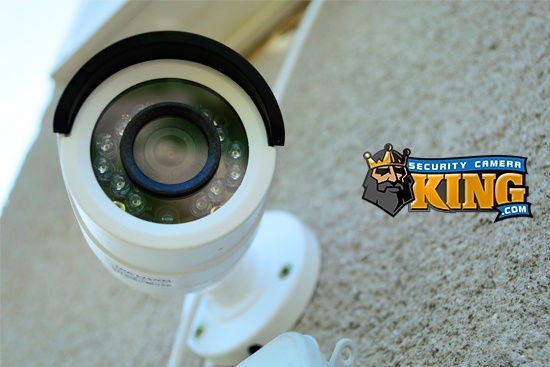 You can find a security company that will monitor your home for a small monthly fee. These companies will send you a text or give you a call if the alarm is tripped. You have to give the alarm company a secret code that you set up in the beginning. If you don’t give them the proper code, then they will call the local law enforcement office. Make sure you don’t have too many false alarms. Many counties and cities across the nation charge a fee for false alarms. It is frustrating for law enforcement officers to respond to a false alarm when there may be someone else in need of their services. To find an alarm company in your area, you can search online. Enter the name of the company in your search engine to check for complaints against the company. You don’t want to sign a long contract with an alarm company who provides poor customer service. Take advantage of seasonal sales and promotions. Most alarm companies have times of the year when they discount their services. These promotions can include free installation and free monitoring for the first month. That’s not always the case, but if you spend the time researching the alarm companies, you may be surprised at how much money you can save. Make sure you think of a password or code that is not easily guessed. An intruder could potentially guess your code and disarm your security system. The keypad and the code you provide the security company should be different. If you have any questions about operating your security system, you can call the customer service number. If you plan on monitoring your system on your own, then leave your phone number with a trusted neighbor. Most home alarms are loud and it is likely that your neighbors will hear it. You will want them to call you if they see anything suspicious or the alarm goes off. Home intrusion is a common event that happens every day around the country. If you plan for the worst and hope for the best, then you can reduce your chances of becoming a victim of theft. Make sure you have home insurance and consider video taping your belongings. Most home insurance companies will give you a discount for having an alarm system. Technology advances has improved security cameras and their accessories. They also are not as expensive as they once were. 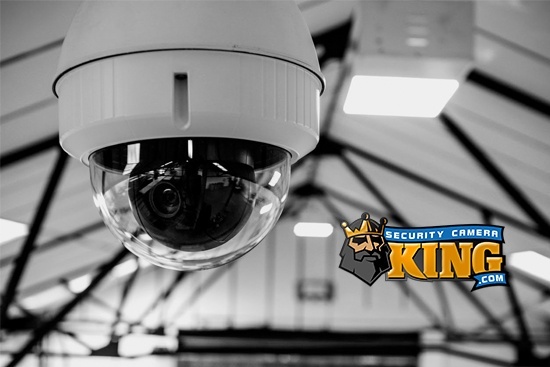 Take advantage of their low prices and buy a security system that will put your mind at ease. If you have a smartphone, there are security companies who have apps that allow you to lock and unlock your doors. You can also arm and disarm your security system from any remote location using your smartphone. This is a convenient way to check on school children, babysitters or even pets. You must sign up with the alarm company that offers the apps. Check in your local area to see if any of the companies offer this new technology. There are other areas of your home where you may be vulnerable to intrusion. Check your garage doors and the door that leads into your home. These areas must be secure or an intruder can easily enter your home. Even if you have the alarm set, they can be in and out very quickly. Families who run busy households often think they don’t have time to set their alarms. Teach everyone in the household the importance of home security. If everyone understands the fact that thefts do occur in your neighborhood, then they are more likely to cooperate. No family member wants to lose their prized electronics, jewelry or other items of value. Most burglars want items in your home that are easy for them to sell. These items include electronics, jewelry and sports equipment. Make it difficult for someone to break in and also make it difficult for them to sell your items. You should have your electronics engraved with a number that is unique to your home. This can help prevent a thief from selling your items to the local pawn shop. Thieves also want items that can’t be traced. Consider putting your driver’s license number on these items. At least that way, the police may be able to return your items to you. The common thief also just wants to get inside as quick as possible. If you make it hard to break your doors down, then you may succeed in deterring a criminal from breaking into your home. Install the best locks you can afford on all your doors. The doors should be made of the highest quality materials. Hard woods and steel doors make it more difficult to kick down a door. Consider hiring a locksmith to install deadbolt locks on your entry doors. Deadbolt locks only work if they are installed correctly. A locksmith will know how to install a deadbolt to prevent theft. Develop your home security plan around your family’s schedule. Your home alarm system should be turned on even when everyone is at home. Many people don’t arm their system when they are at home. This could be a mistake if you find yourself confronting a stranger. Check the windows in your home to be sure they are locked at all times. Locking the doors in your home should be done automatically when you unlock them. You and your family can learn more security tips from your local police department. Most city police departments have a crime prevention department. This department is responsible for developing community programs that improve safety. You can research the police website to learn more. Community involvement goes a long way in crime prevention. Find out if you have a neighborhood watch program in your area. These programs improve neighborhood safety by making people aware of their surroundings. If you or your neighbors see suspicious people or vehicles in the neighborhood, you are encouraged to call the police department. Suspicious person calls are a great way to deter crime. Once you have lived in a neighborhood for a short period of time, you get used to seeing the same vehicles and people. Don’t hesitate to call the police when something doesn’t look right. Many burglars drive into neighborhoods just to study homes they want to break into. When everyone in the community joins together, you can make a big difference in neighborhood safety. Look at your home the way an intruder looks at your home. Do you see any areas that look like it would be easy to break into? You can also hire a security auditor to find areas where your security needs to be improved. Some city police departments offer this service. Find out about all the safety programs your city offers. Take a look at where you store your valuables inside your home. Are they clearly visible to anyone who walks into the room? All valuables should be locked in a safe, jewelry box or stored in a safety deposit box at the bank. Don’t leave large amounts of cash in your bedroom drawers. This is the first place an intruder will look. They often go straight to the master bedroom. They know this is the place where people store the things they are looking for. Wall safes that can be hidden are a great place to store your valuables. Make sure your safe is fireproof and insure the contents. These safes are easily hidden behind picture frames, furniture or shelving. You can buy elaborate safes but all you need is a fireproof safe that is hidden. You can go online and look at security retail stores to find the latest security devices. The industry is constantly adding new devices and merchandise that deters theft. When social media first became popular a few years ago, many people didn’t think twice about posting their vacation photos while they were gone. However, some people have learned that social media sites can make you a target while you are on vacation. Wait until you get home to post those vacation photos. The same goes for who you tell that you are going away. Tell only your close friends and relatives about your vacation plans. It is surprising how often a thief who has been caught reveals that they knew someone would be gone through a friend of a friend. Many people are a victim of theft when they leave their home for extended periods of time. Thieves often reveal that they watch a home for days before they make their move. This is also where a neighborhood crime watch program is helpful. Timers that can be purchased at your local hardware store will allow you to program when they go on and off. They can give the illusion of someone being at home. You can also leave a key with a trusted neighbor. Ask them to check on your home while you are gone. If you have pets that need to be cared for, then this is a good way to make your home look lived in. Thieves do not want to confront a dog when they enter your residence. Even small dogs cause too much noise for thieves. They want to enter and leave your home as quietly as possible. A loud, barking dog will make a thief think twice about breaking into your home. If you don’t own a dog, you can buy devices that sound like a barking dog. Offer to watch your neighbor’s home when they go on vacation and they can watch yours. Reporting suspicious neighborhood activity will go a long way in preventing burglaries. Report anyone that makes you feel nervous.